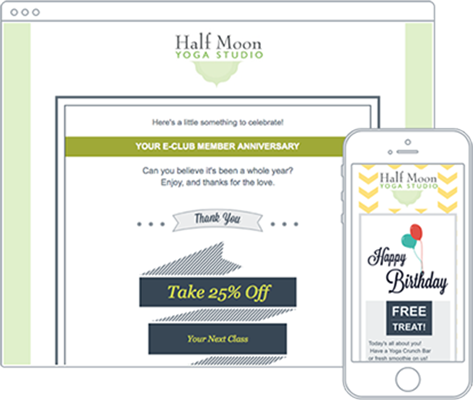 With Constant Contact, you get a powerful way to take your email marketing to a new level with targeted emails, detailed campaign reports and the ability to build segmented lists combined with GoldMine all make for a robust platform. GoldMine integrates with Constant Contact, Microsoft Office, and Microsoft Outlook. The Constant Contact integration allows you to upload segmented lists from GoldMine, download real-time campaign results for viewing in GoldMine, store individual contact details like bounce backs, opt-outs, and opens on the GoldMine record, and use GoldMine queries to create follow-up activities. 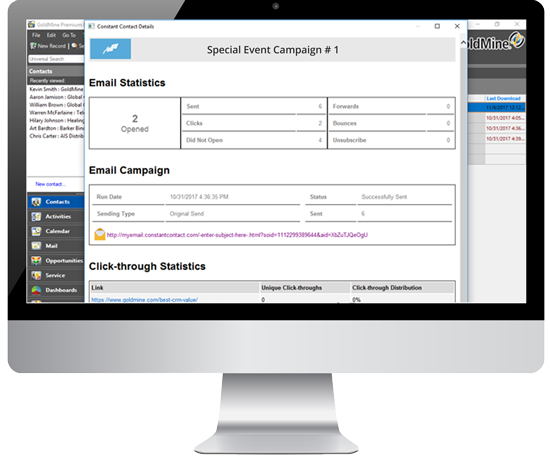 GoldMine’s unique integration with Constant Contact provides you a feature-rich email marketing suite. Target the right contacts for each customized marketing campaign.